It’s the simplicity of a smile, the scent of the breeze, the warmth of the sun. It’s a slower pace, gratitude; it’s a way of life, it’s pure life — pura vida. Welcome to Pura Vida. 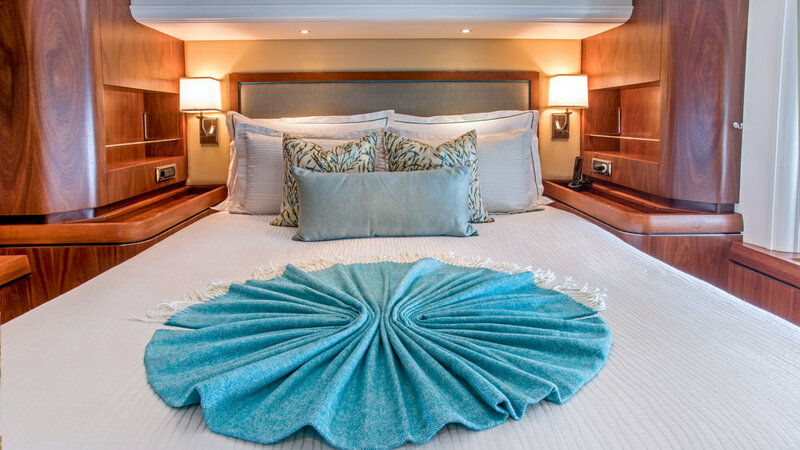 Accommodating her guests in casually elegant surroundings, Pura Vida has been purposely designed to deliver a most relaxing and memorable charter experience. 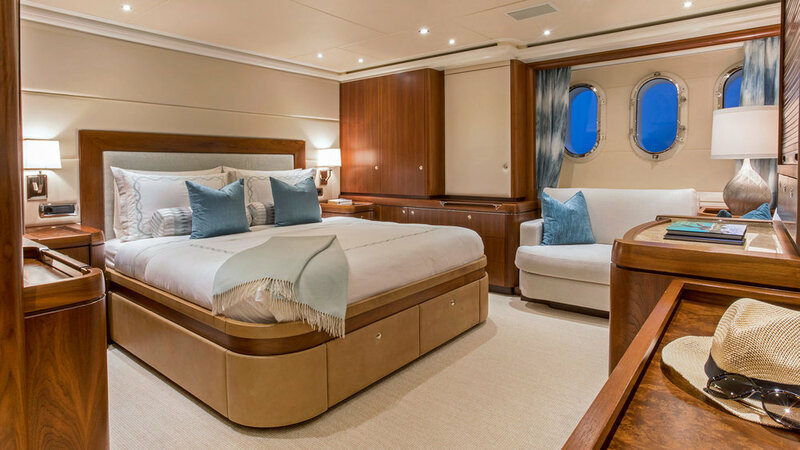 You’re invited — to dine al fresco on the covered aft deck, sunbathe on the sprawling sunpads on the foredeck, dance on the sun deck, dive off the swim platform, unwind in the salon and melt into comfort in your spacious stateroom after each day well spent. 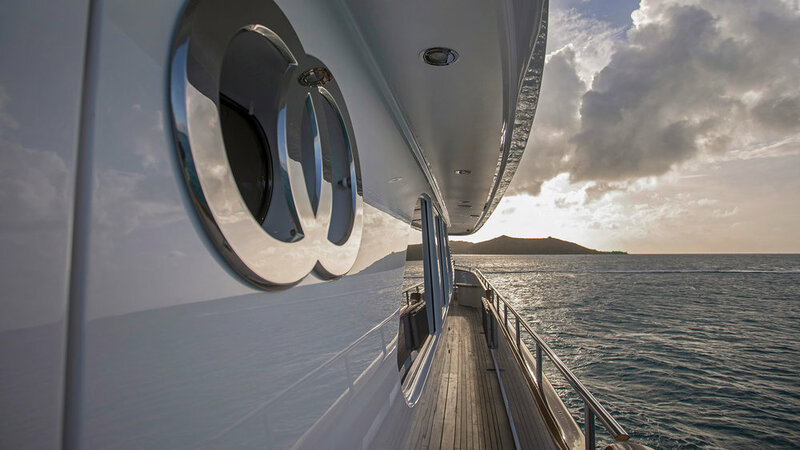 Built by Moonen in 2009 and fully upgraded in 2017, Pura Vida carries her Dutch pedigree with grace. 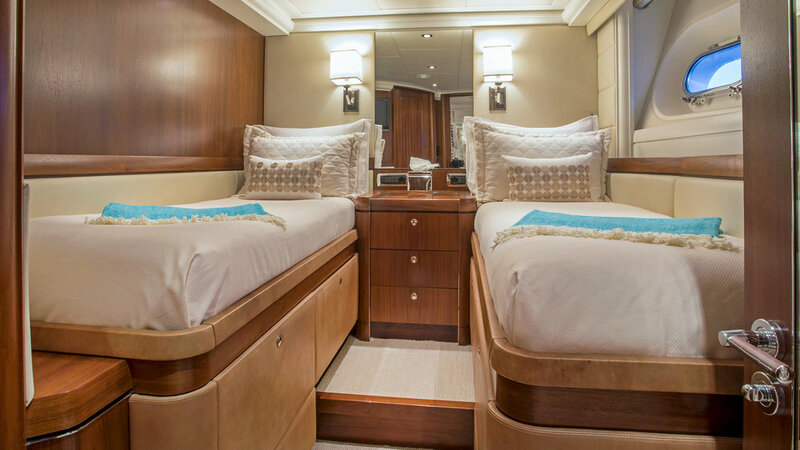 She accommodates eight guests in four en suite staterooms and is fully equipped with the latest in entertainment systems and watersports equipment. 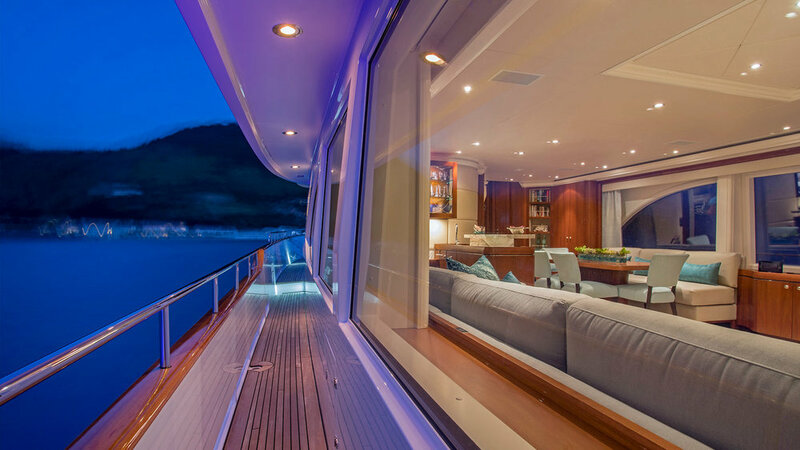 This 99ft yacht cruises at 14 knots and achieves an impressive maximum speed of 26 knots. 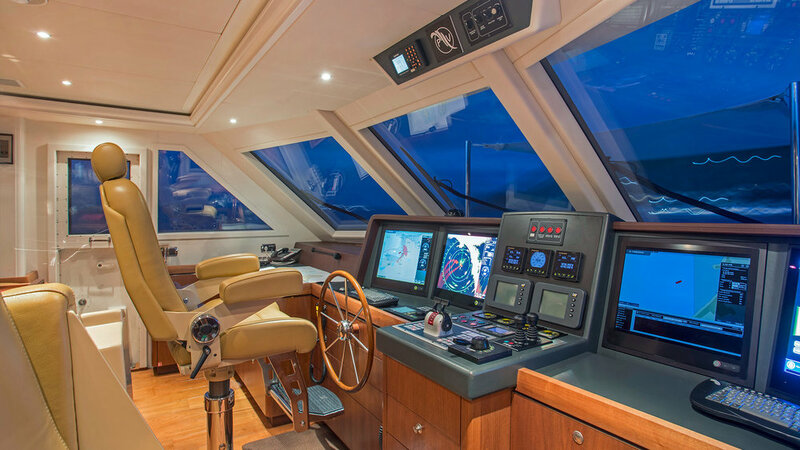 Moonen’s superior high-performance aluminum hull design and TRAC stabilization system ensure complete comfort at anchor and underway.